Remember the herbed cheese spread I gave you the recipe for a while back? Well, it is good for more than just slathering on a baguette. I like to make a sandwich of rare, thinly sliced roast beef, tomatoes, arugula or spinach and broccoli sprouts, spreading the toasted bread with the herb cheese first, instead of the usual mayo. 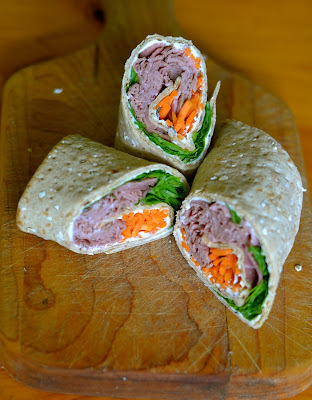 The wrap pictured below is a Joseph's flatbread, spread with herb cheese and topped with a handful of julienned carrots, some arugula leaves and three thin of slices of Boar's Head London Broil Roast Beef. It was what I had on hand at lunchtime. No rules. No worries. The garlic-ky roast beef, peppery arugula, sweet carrots and creamy cheese made for one fabulous sammie! Mmmmm. Toast bread. Spread room temperature herb-cheese on bread. Top with remaining ingredients of choice. Cut in half and serve. You can really choose any type of bread. I've used flatbread, pita, ciabatta and pumpernickel. They are equally yummy. You can toast it or enjoy it cold. You can grill it to make a panino or wrap it up! Toppings are personal as well. Tomatoes, carrots, arugula, bacon? 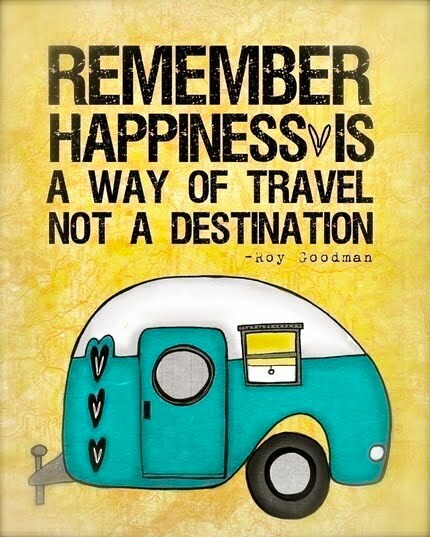 Whatever you decide. A dollop of spicy mustard would be lovely. Or a zesty horseradish cream. Come on... get creative!